I like giving homemade food gifts because I think the love and effort that goes into making them truly expresses to the recipient that they were important enough to you to make the effort. And so I spent the morning of my dearest friend's birthday in the kitchen, baking these treats for her. I also have a treat for you today because Peanut Butter & Co. will send 4 jars of their peanut butter, in your choice of flavors, to the winner of my giveaway below. Most of the peanut butter bars I've seen have the peanut butter in the dough but I wanted a creamy layer of it in between the chocolate crumb bars. Some recipe tweaking was needed although it was certainly a labor of love. It's been a difficult year for me and I honestly don't know how I would have made it through without my best friend. I've always heard that if you find one true friend in your life, you should consider yourself blessed. And I am doubly blessed because I found her early in life. So I happily made these birthday bars for her and, if there's someone in your life that deserves a homemade treat, these were a big hit. Be sure to enter the giveaway below for the chance to win some amazing peanut butter flavors and create our own special treats. Pre-heat the oven to 350 degrees and line a 9" square baking pan with parchment or aluminum foil for easy removal. Add the flour, sugar, cocoa powder, baking powder and salt to the bowl of a food processor and pulse a couple of times to combine. Add the butter and pulse a few times until the mixture resembles course crumbs. Add the vanilla and egg and mix until the batter almost turns into a ball. Pat about 2/3 of the dough into the bottom of the pan until you have an even layer. Using a stand or hand mixer, beat the cream cheese, egg, sugar, vanilla, peanut butter and salt until smooth. Pour into the baking pan. 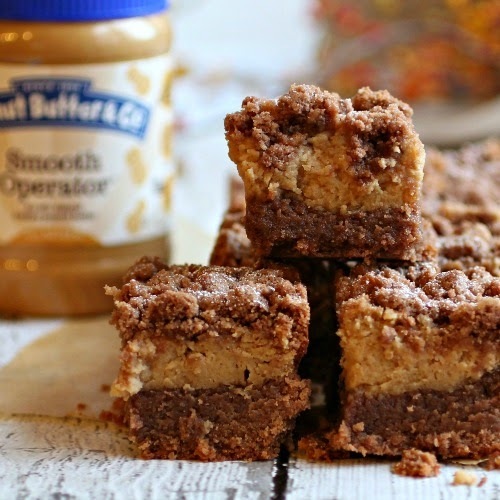 Crumble the remaining dough in your hands and drop it on top of the peanut butter batter. Bake for 45 - 55 minutes or until the top is set. Allow to cool before cutting into bars. 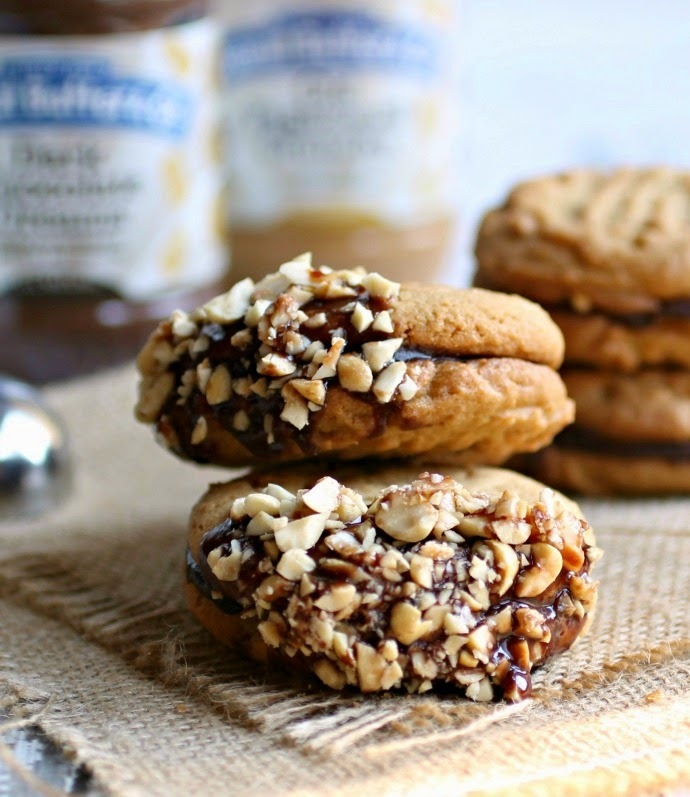 Check out the recipe for these Dark and Crunchy Peanut Butter Cookies using the Dark Chocolate Dreams and Old Fashioned Crunchy flavors. These bars look Ah-Maz-Ing! My Son-in-law would love a pan of these for Christmas morning as his Christmas present! Since I'm in a Make-treats-for-gifts mood - I must make some of these! Of course I have Smooth Operator in the pantry so this should be a snap! These look so awesome and yummy, can't wait to try just got to have several other people to share with. Holy cow! That is one stack of gorgeousness. I've never seen a chocolate peanut butter bar so thick, and I LOVE that you created a single layer of peanut butter in the middle. This looks divine! You and your crumb desserts :D I had an idea about peanut butter crumb bars, but it looks like you beat me to it ;) Love the different flavors that PB&Co offer. PB&CO is the beeeest!!! 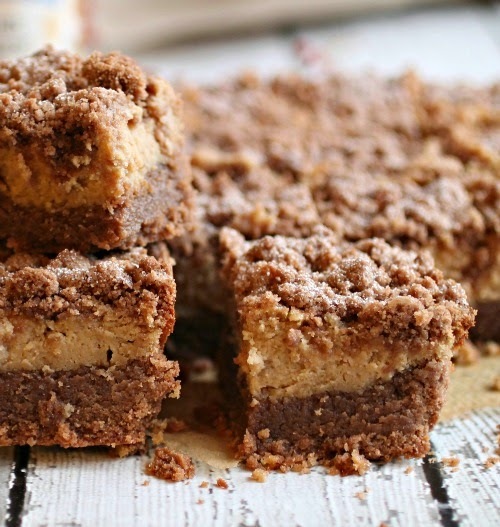 And this recipe is the epitome of Anita to me: peanut butter AND crumb topping! Love em! 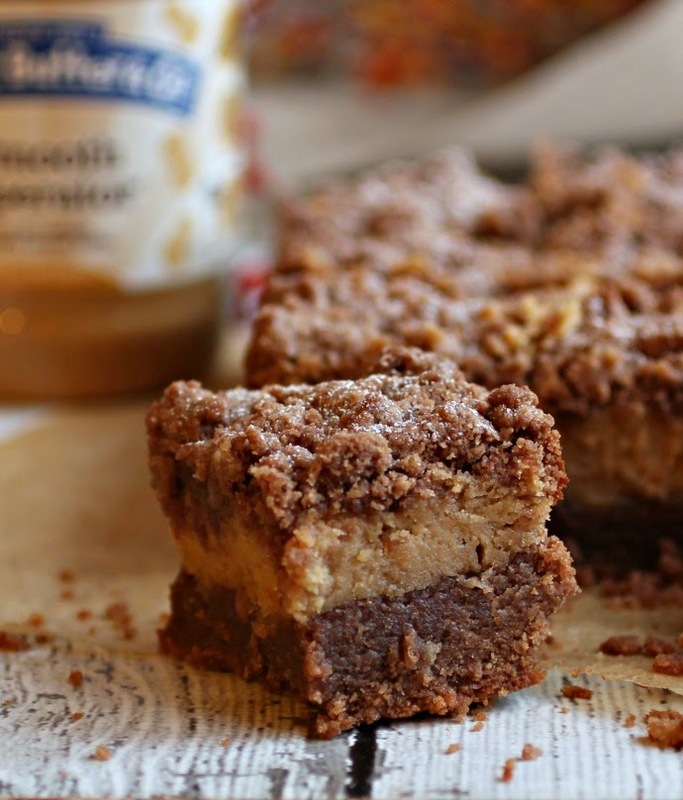 The combination of chocolate and peanut butter is always amazing in anything.. so I can imagine how good these crumb bars must have tasted. 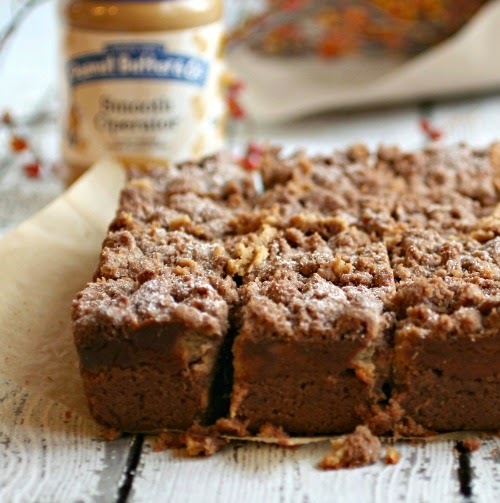 I totally need to make the recipe as I am craving one right now!